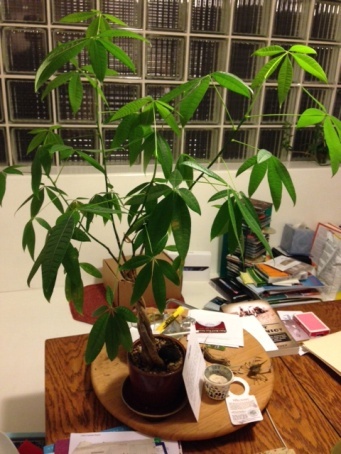 Plants for use inside the house or office can be grown organically. Plants not only have far fewer problems under the natural program, but they also provide a benefit other than just looking nice and softening spaces. They also help clean the air. The fertilizer program is simple. In fact, the two most common mistakes made on house plants is too much water and too much fertilizer. Adding a mild organic fertilizer once a year in the spring is usually plenty. Compost, earthworm castings or compost tea along with a one time application of lava sand is all I use. Use about ¼” of lava sand and gently work in.